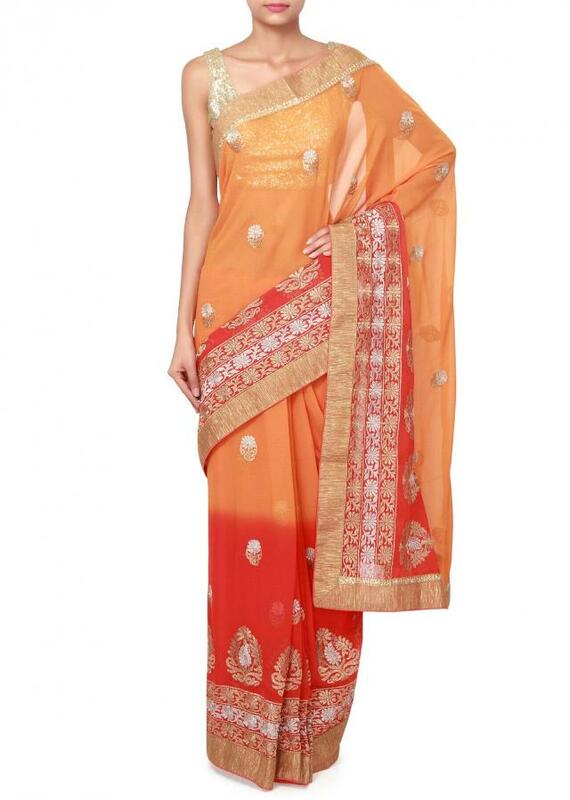 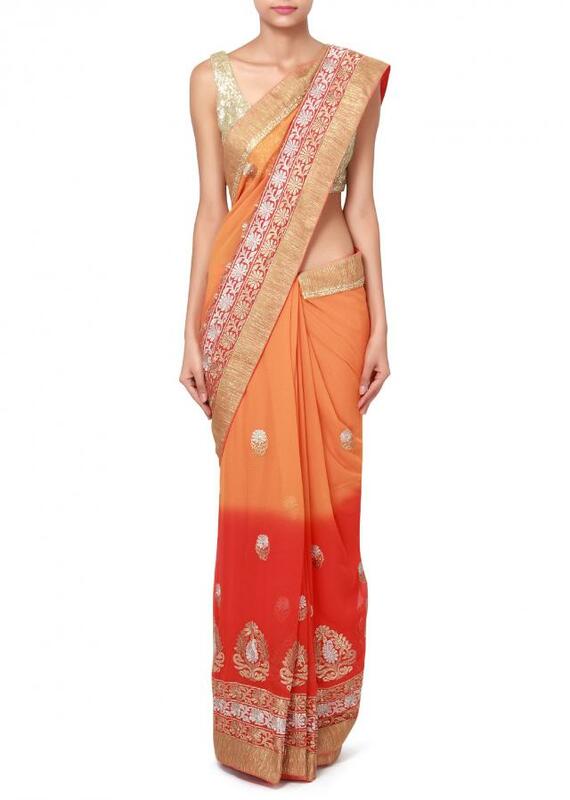 Shaded saree in coral and mustard georgette. 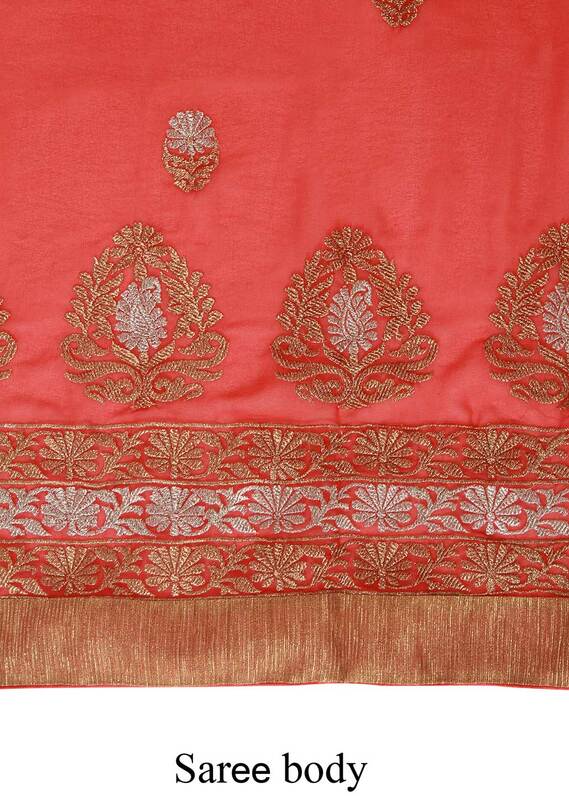 Its enhanced in zari embroidered butti and border. 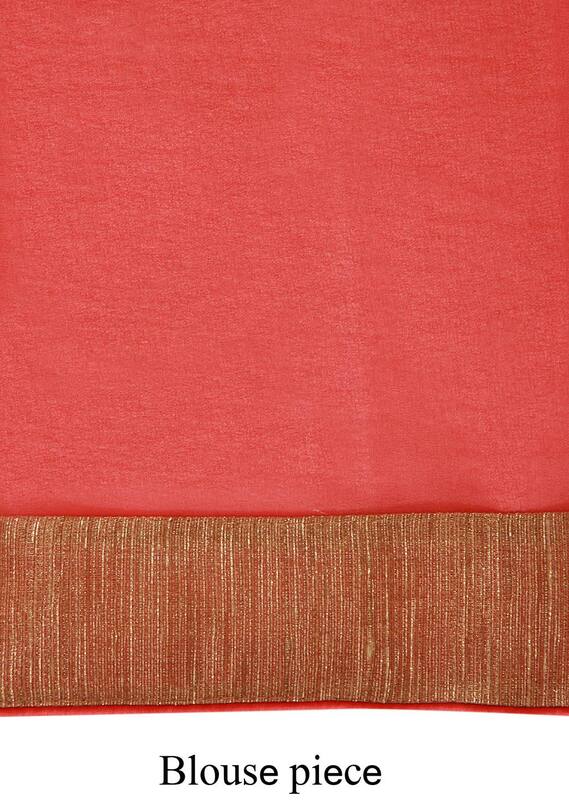 Blouse is unstitched in coral georgette.